Allied intervention in the Russian Civil War consisted of a series of multi-national military expeditions in 1918. 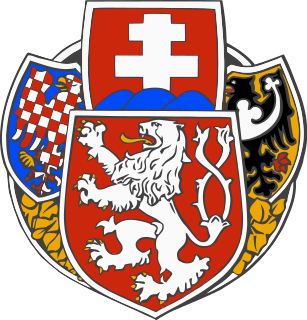 The stated goals were to help the Czechoslovak Legion, to secure supplies of munitions and armaments in Russian ports, and to re-establish the Eastern Front. Overthrow of the new Bolshevik regime was an additional, covert motivation. The Great Siberian Ice march was the name given to the 2000-kilometer winter retreat of Admiral Kolchak's Siberian Army from Omsk to Chita, in the course of the Russian Civil War between 14 November 1919 and March 1920. 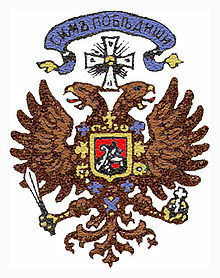 The Provisional All-Russian Government (PA-RG) was a short-lived government (1918–1920) centred in Omsk during the Russian Civil War of 1917–1922. It formed from the Komuch and from the Provisional Siberian Government, which consisted mainly of regional politicians and rightist officers and was based at Omsk. 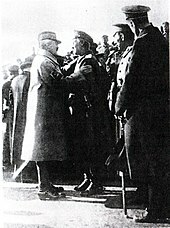 The two régimes had previously failed to work effectively together, with rivalry leading to a customs war and to numerous border disputes. Anatoly Nikolayevich Pepelyayev was a White Russian general who led the Siberian armies of Admiral Kolchak during the Russian Civil War. His elder brother Viktor Pepelyayev served as Prime Minister in Kolchak's government. Admiral is a 2008 biopic about Alexander Kolchak, a vice-admiral in the Imperial Russian Navy and leader of the anti-communist White Movement during the Russian Civil War. 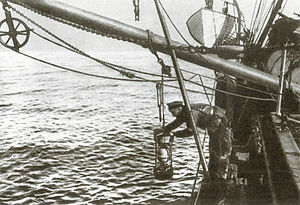 The film also depicts the love triangle between the Admiral, his wife, and the poet Anna Timiryova. The Fiat-Omsky was a Russian light armored car used by the White Army in the Russian Civil War. It was the only serially produced armored car built by the White Army, and were used exclusively by the Siberian Army on the Eastern Front in the Siberia and Russian Far East regions. 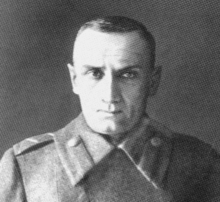 Vasily Yegorovich Flug was an Imperial Russian Army General of the Infantry. 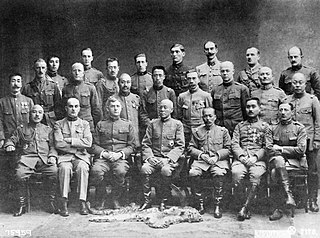 A career military officer, he served in the Boxer Rebellion, Russo-Japanese War, and World War I, before joining the White movement during the Russian Civil War. 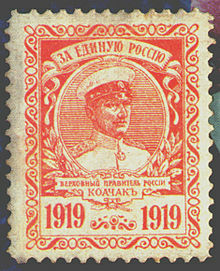 Like many other officers, he went into exile after the end of the Russian Civil War, initially moving to Yugoslavia. After World War II, Flug went to the United States, where he died.